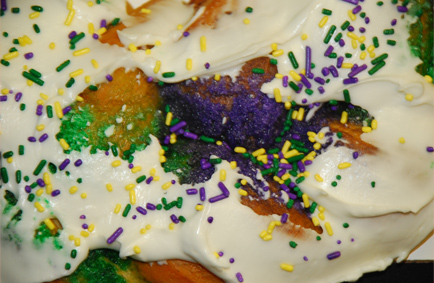 What is the meaning of the Mardi Gras Colors? 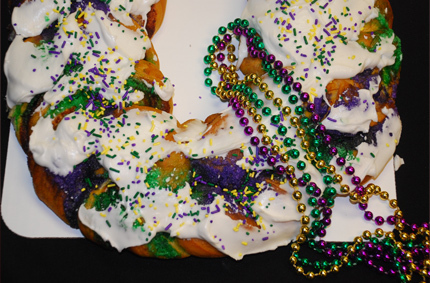 In Mardi Gras history, the King Cake plays a major role. 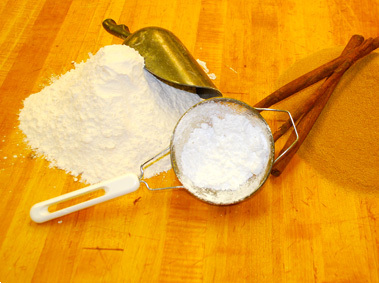 The Kingcake tradition is thought to have been brought to New Orleans from France in 1870. 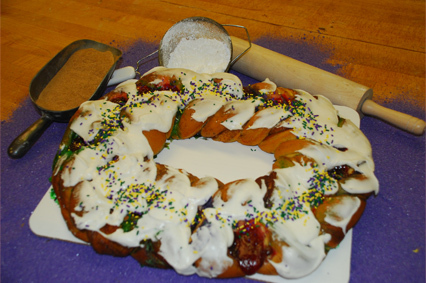 A King Cake is an oval-shaped bakery delicacy, crossed between a coffee cake and a French pastry that is as rich in history as it is in flavor. It's decorated in royal colors of PURPLE which signifies "Justice," GREEN for "Faith," and GOLD for "Power." 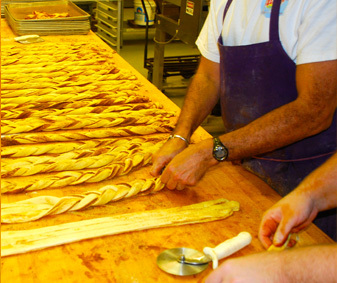 These colors were chosen to resemble a jeweled crown honoring the Wise Men who visited the Christ Child on Epiphany. 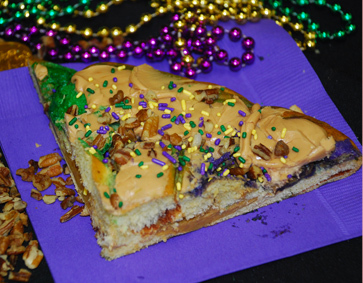 In the past such things as coins, beans, pecans, or peas were also hidden in each King Cake.